Abstract: Authors’ lives make it possible to uncover real and imaginary connections between their inner depths and their literary output. The contributions to this volume aim to question the object of literary work in its relationship with the life of its author: What does a biography know? What choices does it make? Histoire, mythologie ou littérature ? 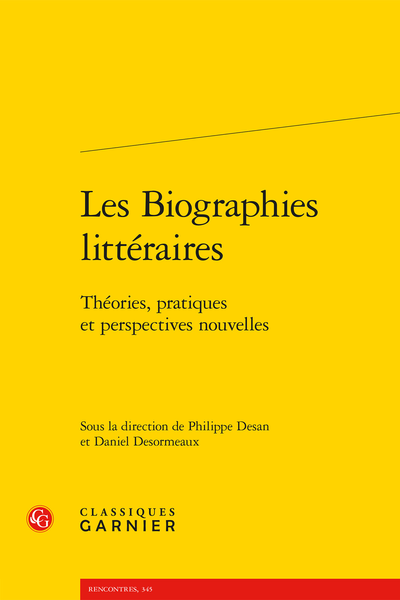 Une biographie du processus de la création est-elle possible ?